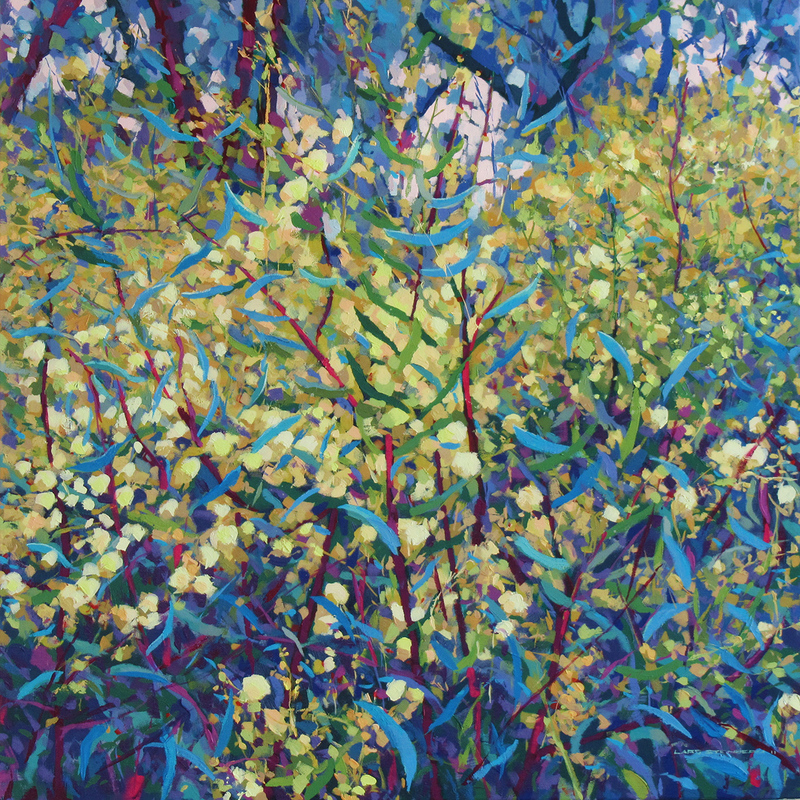 This time the wattle is just coming into bloom on Chatauqua Peak near Hall’s Gap in the Grampians. I don’t get so much time to bushwalk at the moment what with jobs and family. When we do manage to get away we usually don’t get to Hall’s Gap until late afternoon, when only enough daylight remains for a quick stroll to the top of Chatauqua Peak. It’s not lofty, but it’s handy to the town and has a great (although occasionally snaky) wee scramble at the end with storming views of much of the central Grampians ranges. And of course, if we hadn’t been up there in the evening, the light wouldn’t have worked as it did through the newly budding wattles. Late in the day is a great time to be out on the hills, as long as you have a head torch, or a tent. Note: I’ve checked the spelling of Chatauqua Peak on several maps. Although it was seemingly named as a result of its popularity with the adult education movement of the early 1900’s, it resolutely refuses to be called Chautauqua. Lars, I just want to eat your color choices. Love. Thanks Laurel. All those tasty cadmiums and thalocyanines! I know what you mean. It often surprises folks that I rarely use more than three tube colours in any painting. What began from impecuniousness has stuck with me. I find only three colours on the pallette allows for faster, less self-conscious colour choices as I paint. This is a marvelous painting, the chaos and pattern of nature. Thanks annerose, the disorder/order of the environment interests me. I find that the world (especially the Aussie bush) rarely organises itself into a nice convenient composition… and who am I to impose one?! It’s the same with the bush here in Canada and it’s one of my interests too. I’m glad you are choosing to show it as it is and not imposing order.